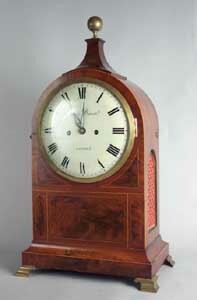 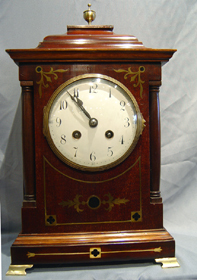 English Edwardian mahogany mantel clock. 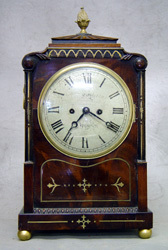 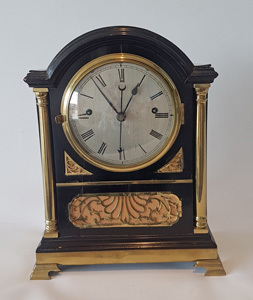 Antique English Regency striking bracket clock with centre seconds. 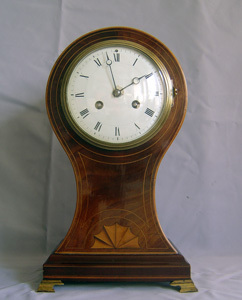 Antique English Flame mahogany George III bracket clock by James Duncan, London.